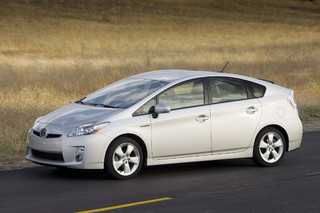 Pictures and details of the 2010 Toyota Prius have again leaked ahead of the car's official release in a few hours. Aside from the picture we've already seen, let's look at the new details. - similar to the power of 2.4l engine - 164 hp? We're going to let this little beauty in the gallery just rest on your palate as it sinks in and delivers all of the robust flavor it has to offer. Tell us what you think about it below in the comments - If you don't have a commenter account yet, drop Petey an email and he'll fix you up, stat.